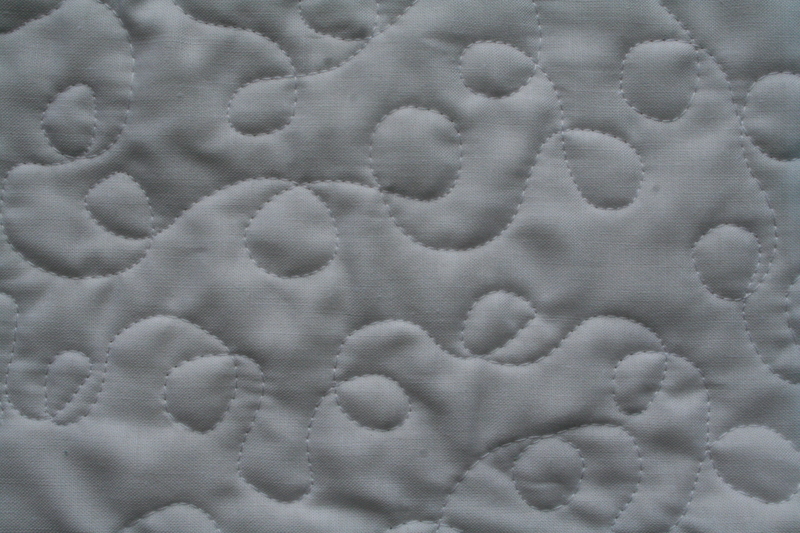 You know what the funny thing is about having a quilting blog? 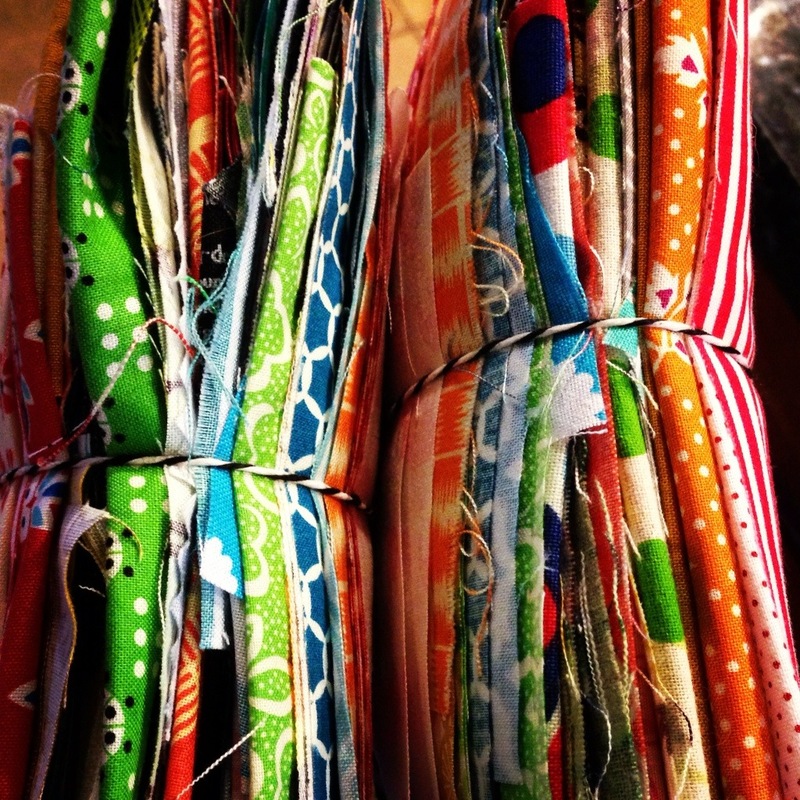 When you’re really quilting and being productive and having fun, you have less time to post on your quilting blog. The quilts I’ve been working on will be released in good time. So for now, some inspiration I’ve found in every day life. 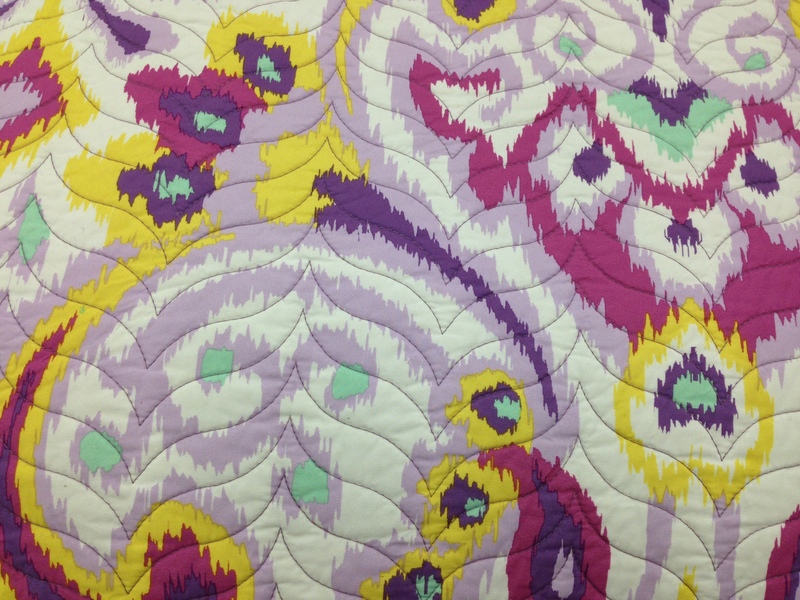 I loved the quilting on this comforter at Bed Bath & Beyond (where I went to get hangars to take better pictures of my quilts). 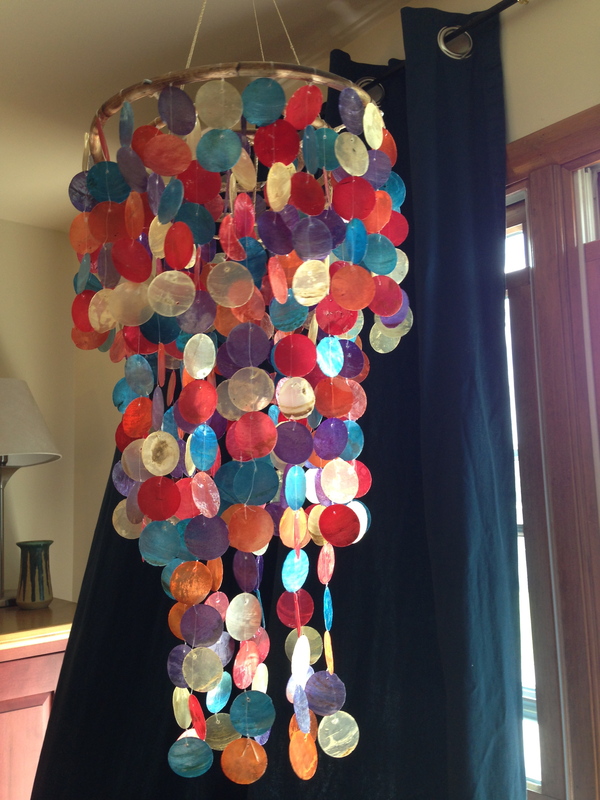 This was a friend’s lampshade. 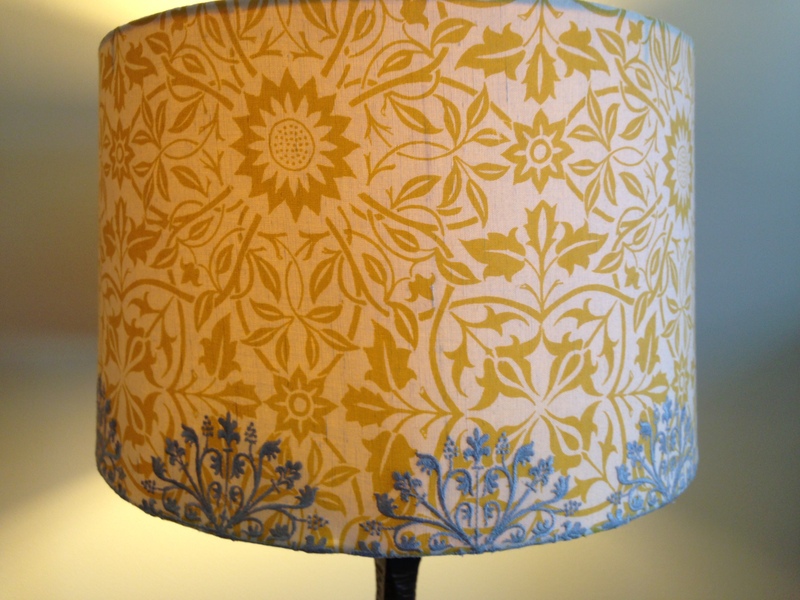 I’ve been wanting to do a yellow and white quilt for a long time, so I’m on the lookout for design inspiration. Same friend’s house. I loved this color combination– not something you see often– especially with the navy background. I bought some rainbow scraps from Elizabeth Hartman‘s de-stashing sale. There’s some great prints in there, and I have a plan for them.